The AOR AR8200 (AOR8200) is equipped with a discriminator output as a standard. It is available on the AUX-connector. A special interface cable (OS8200, the CC8200 is not suited) makes the unfiltered audio available. If you don't want to purchase the OS8200 interface cable, this scanner can be equipped with a discriminator output quite easily. 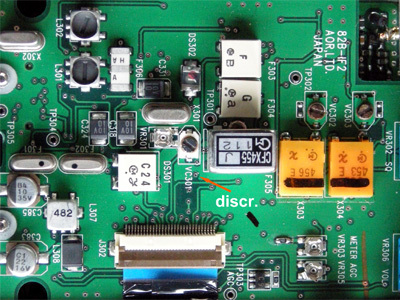 The discriminator output is made on a via on the printed circuit board carrying the unfiltered audio. 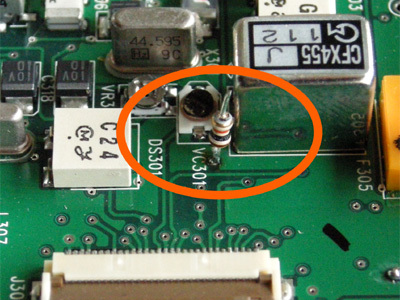 A 10 k miniature resistor is soldered to this via. 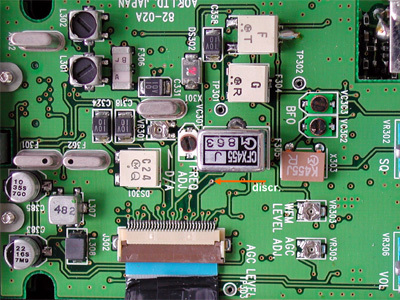 The AR8200 can come with a slightly different circuit board layout, as shown in the two pictures below. 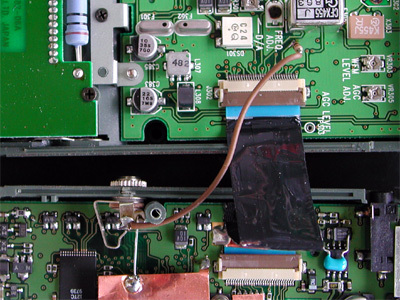 The resistor's other lead is connected to the inner conductor of a 3.5 mm mono socket, which is mounted in the scanner's side. 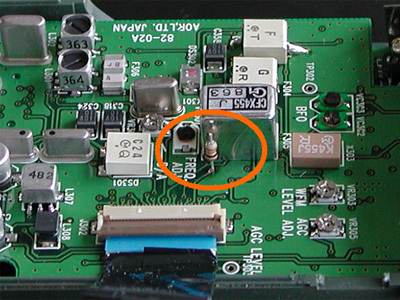 The socket's ground lug is connected to the scanner's shield with a short piece of wire.